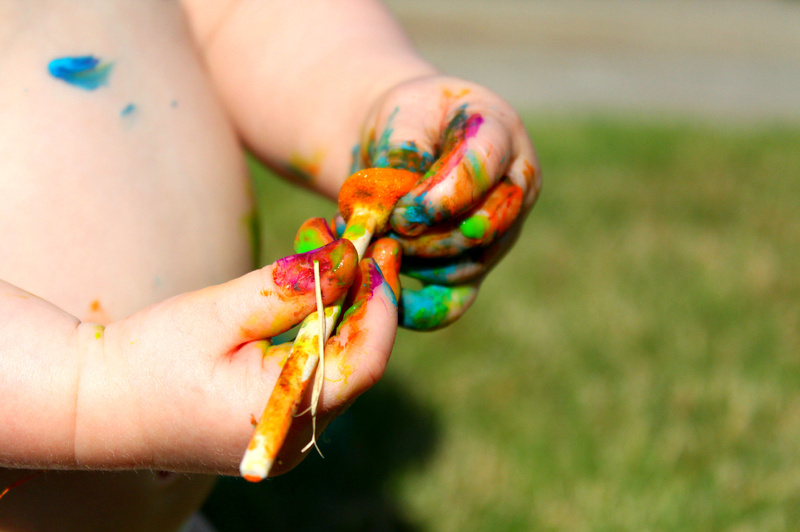 Life is messy…literally and figuratively. The sooner you accept the mess the sooner you learn to handle it. I don’t want you to live in a slob like state. Do your dishes, wash your clothes, tidy up your home for sure. However, you need to realize that sometimes in order to truly live you have to get a little messy. Relationships don’t always make sense and fairy tale endings can happen but not usually in the wonderful linear method our story books tell us about. Jobs can be tense and school can be too! Things will happen that are outside of your control. Things that break your heart like the loss of a loved one, and things that vault you to new highs such as achieving a goal you have been striving towards for a very long time. If you spend all of your time trying to “tidy up” your life and control every element of it, you will be stressed and weary well before your years. I hope you learn at a young age that sometimes things happen, things that we don’t deserve, things that we can’t control–but we can control how we react to them. That’s the key. Accepting the mess and doing our best. I love the age that you are at right now. When you make a mess, it is as if you are oblivious that the mess even exists. You simply alter what your doing to adapt to it..and any mess you can’t clean up or work around you just ignore. You have no anxiety or OCD regarding the messes you make and it makes you live and play without restraint. I hope you know how fabulous you are when you live without fear of the mess and how easy all the messes are to clean up, even if they take a little time.